Rarely does a month go by without a report of Neymar’s antics at PSG. It would appear that the new world record destination isn’t suiting the Brazilian all too well. The latest one in this run came during the Parisian’s 8-0 thumping of Dijon last week. The match featured four goals by Neymar, the last of which was a penalty taken by the former Barcelona star. However, he was booed by the fans for his antics. The spot-kick was won by Cavani, but it was Neymar that took the ball and attempted the penalty, eventually scoring. However, as luck would have it, had it been Cavani who had taken the kick and not Neymar, the former would have broken a club-record. Having scored earlier on in the encounter, the Uruguayan striker had equaled Zlatan Ibrahimovic’s record of 156 PSG goals, and the next one would have crowned him as the club’s all-time top goal-scorer. However, this fact was not known to Neymar. When asked whether he had left the pitch angry, his Brazilian teammate Thiago Silva had this to say (via Canal+): “No, I do not think he was angry when he left. Regardless, the alleged general demeanor of Neymar is certainly very poor for a player, and seems to lack class. In that same match, the 25-year-old appeared furious with Angel Di Maria, who had netted a Neymar attempt that would have gone out of play. 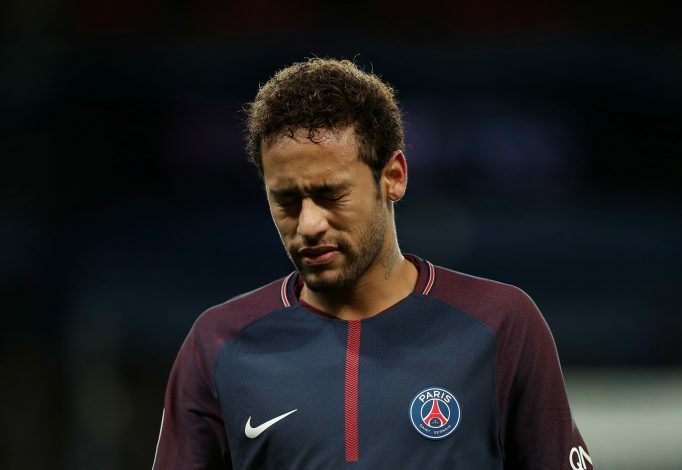 In fact, according to a report by L’Equipe, the reaction of the fans had, in fact, infuriated Neymar, and added that he was finding the Ligue 1 to be too defensive and physical. It will be interesting to see what will be the next diva episode that his time at PSG will bring forth.